Everyday life is a learning experience for children. Born Learning helps parents, grandparents and caregivers explore ways to turn everyday moments into fun learning opportunities. BrainConnection.com is dedicated to providing accessible, high-quality information about how the brain works and how people learn. Many discoveries are being made in areas that relate to the human brain, including language, memory, behavior, and aging, as well as illness and injury. Our brain experts believe that access to this information can provide practical tools for teaching and learning as well as valuable insights into almost every aspect of our daily lives. Free text messages with research-based child development information created by physicians and experts for caregivers of children under 3 years old. Topics include: newborn, infant and toddler care; nutrition and eating; sleep; health and safety; developmental milestones; language learning; and behavior and positive discipline. 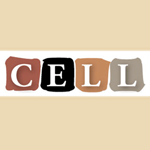 The goal of the Center for Early Literacy Learning (CELL) is to promote the adoption and sustained use of evidence-based early literacy learning practices. This site has resources for early childhood intervention practitioners, parents, and other caregivers of children, birth to five years of age, with identified disabilities, developmental delays, and those at-risk for poor outcomes. The Colorado Academic Standards (CAS) are the expectations of what students need to know and be able to do at the end of each grade. They also stand as the values and content organizers of what Colorado sees as the future skills and essential knowledge for our next generation to be more successful. State standards are the basis of the annual state assessment. The Colorado Office of Early Childhood (OEC) provides collaborative leadership to align resources for children, families, and early childhood professionals to best prepare Coloradoans for future success, through access to coordinated and quality early childhood programs and family supports. The Colorado Program Eligibility and Application Kit (PEAK) has everything you need to learn about public assistance programs, complete an application, and manage your benefits online. Colorado Parent Magazine is a free parent resource from newborn to the teen years. The magazine provides parent forums, product reviews, local event guides, education guides, and more. Colorado Parent stays up to date with the latest information on all things for kids in Colorado. Colorado Shines is a quality rating and improvement system for Colorado’s licensed early care and learning programs. Using proven methods, it measures quality based on how an early learning program supports its children, families and professionals. Once ranked, it helps programs improve their quality rating/level and connect with families who are looking for quality child care. This website allows families to search for early childhood programs utilizing information such as location, hours, licensing, and the Colorado Shines quality rating. As a parent, there are many ways that you can help your child succeed every single day! These bilingual parent resources offer tips on helping your child learn to read, succeed in school, and learn a new language. They also provide information about the U.S. school system and share ideas on how to build a relationship with your child’s teacher and school. In addition, you can find fun reading tips and games, bilingual booklists, ideas for using the public library, and videos of children’s authors, illustrators, and musicians. Resources are organized by topic. Earlier Is Easier promotes the value of interacting with children ages birth to three through singing, playing, talking, writing and reading to enhance development and help shape children’s lives when brain development is most critical. The ECTA Center works to help families understand their rights under the Individuals with Disabilities Education Act (IDEA), connect with other families, and find high-quality resources related to caring for infants, toddlers and young children with disabilities. The Early Intervention Colorado program provides developmental supports and services to families with children birth through 2 years of age who have developmental needs. EI services can help improve a child’s ability to develop and learn and help families support the developmental needs of their children. The Colorado Department of Education developed a resource dedicated to providing information on special education issues, practices and resources to families who have children with disabilities. Get Ready to Read! is designed to support educators, parents, and young children in the development of early literacy skills in the years before kindergarten. The resources and information promote skill-building, communication between adults, and ways to address concerns. The Office of Head Start (OHS) promotes the school readiness of young children from low-income families through local programs. Head Start and Early Head Start programs support the mental, social, and emotional development of children from birth to age 5. 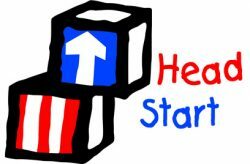 Healthy Steps is a free, voluntary program that helps you understand what to expect from your growing child. The program pairs a Healthy Steps Specialist with families with children ages birth to 3. Specialists meet with you and your child in your pediatrician’s office and at home for up to 3 years. The goal is to provide you with solutions for the challenges of raising a child. 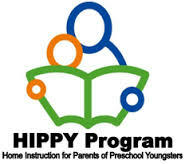 Home Instruction for Parents of Preschool Youngsters (HIPPY) is a free, voluntary school readiness program that helps you prepare your 3- to 5-year-old children for success. HIPPY is a peer-delivered program where trained home visitors provide weekly home visits, working with you one-on-one. The program also provides monthly group meetings, where you and your children can socialize and meet other families in your community, and a resource network to connect your family with resources that meet your specific needs. BabyHearing.org was created to answer parents' questions about: infant hearing screening and follow up testing; steps to take after diagnosis of hearing loss; hearing loss & hearing aids, language & speech; and parenting issues. 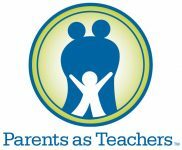 Parents as Teachers (PAT) is a free, voluntary parent education and family support program serving families from pregnancy until the child enters kindergarten. PAT pairs trained Parent Educators with families to ensure school readiness and healthy child development. 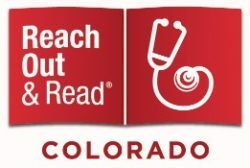 Reach Out and Read Colorado gives young children a foundation for success by encouraging families to read aloud together. Reach Out and Read Colorado helps families and communities encourage early literacy skills so children enter school prepared for success. Scholastic encourages the intellectual and personal growth of all children, beginning with literacy. 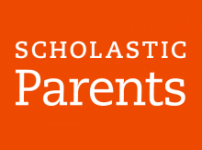 Scholastic helps parents raise readers and learners. StoryBlocks is a collection of 30-60 second videos designed to model to parents, caregivers, and library staff some songs, rhymes, and fingerplays appropriate for early childhood. Each video clip includes helpful early literacy tips to increase caregivers’ understanding of child development and pre-literacy needs. Your child's mental health needs as much attention as their physical health. Mental health starts early and lasts a lifetime. This resources provides information for parents and caregivers to support children's social-emotional development. New science tells us that our children’s first 5 years are when they develop the foundation for all future learning. Vroom turns shared moments into brain building moments. Whether it’s mealtime, bathtime, or anytime in between, there are always ways to nurture our children's growing minds. ZERO TO THREE works to ensure that babies and toddlers benefit from the early connections that are critical to their well-being and development. Our approach to supporting parents is based on the belief that parents are the true experts on their children, and that there is no “one-size-fits-all” approach to raising children. The information and tools we offer are designed to support parents in developing their own ways to promote their children’s growth and development.